EA does not use Martingale, Grid etc. You can use Stop Loss, but Sell/Buy signals are accurate, there is no need to set Stop Loss. Timeframe - timeframe for Fast MA. Period - fast Moving Average period. Mode - mode of fast Moving Average (SMA, EMA, SMMA, LWMA). Price - price of fast Moving Average (Close, Open, High, Low, Median(High + Low)/2, Typical(High + Low + Close)/3, Weighted(High + Low + Close + Close)/4). Timeframe - timeframe for Slow MA. Period - slow Moving Average period. Mode - mode of slow Moving Average (SMA, EMA, SMMA, LWMA). Price - price of slow Moving Average (Close, Open, High, Low, Median(High + Low)/2, Typical(High + Low + Close)/3, Weighted(High + Low + Close + Close)/4). Timeframe - timeframe for RSI. Sell Level - level of Sell signal. Buy Level - level of Buy signal. Use Long trades - true/false. Use Short trades - true/false. Stop Loss - stop loss in points. Magic Number - magic number for orders. Slippage - max slippage for open orders. Close on Opposite - true/false. Pips - profit pips to start trailing. 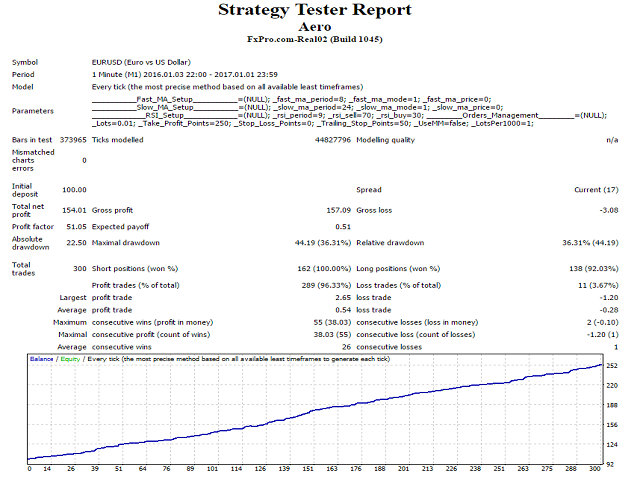 Minimal Profit - minimal profit pips. Trail Step - pip step of trailing. Use Sessions trading - true/false. Use Session 1 - true/false. Start Time - time for start of Session 1. End Time - time for end of Session 1. Use Session 2 - true/false. Start Time - time for start of Session 2. End Time - time for end of Session 2. Use Session 3 - true/false. Start Time - time for start of Session 3. End Time - time for end of Session 3. Show Info Panel - true/false. Font Color of Info - font color of Panel. Background Color of Info - background color of Panel. Added time filters for indicators. 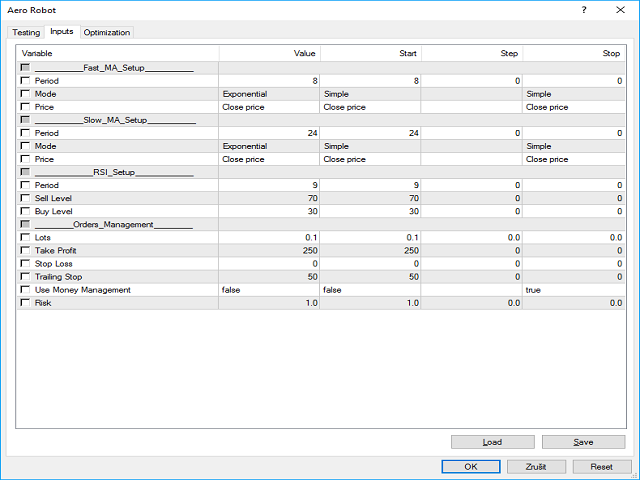 Added session filter for trading. Do not use old set files!